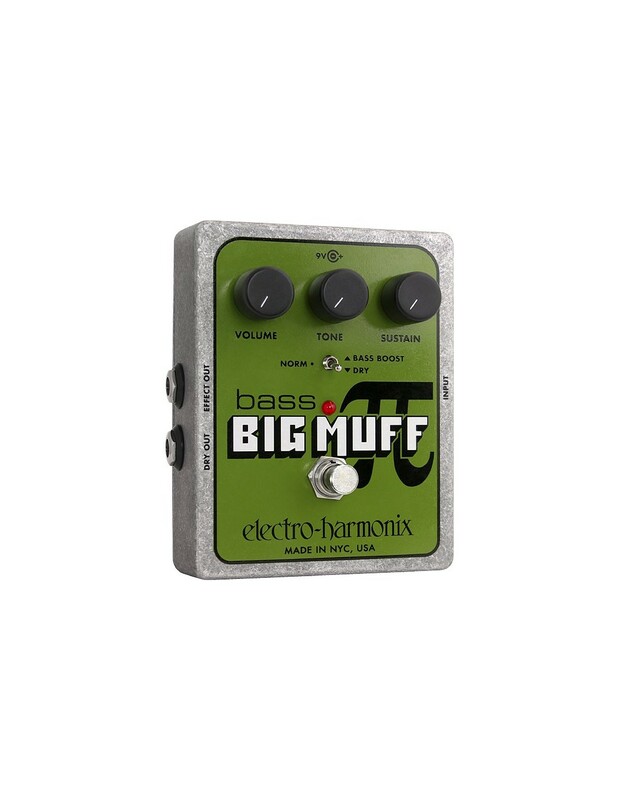 The holy grail of fuzz pedals has now been introduced for bass players! 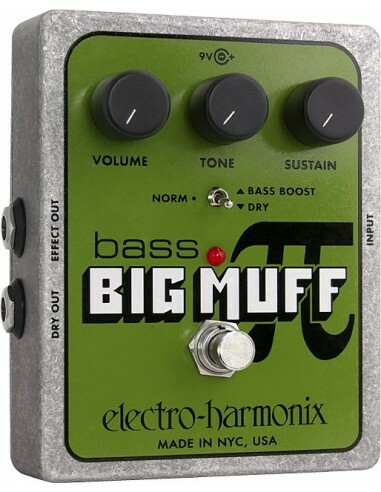 The Big Muff Pi offers classic fuzz tone with no loss of low end. The pedal has three controls (Volume, Tone and Sustain) and a switch for bass boost and a dry signal.